Home / android / Google / SMS / View your SMS on your computer. Messages on Web is here! View your SMS on your computer. Messages on Web is here! Imagine you are browsing for some stuff on Amazon. You finally decide on something and start the checkout procedure. Everything is going fine and then you are prompted for the OTP for your credit card authentication. And that's when you realise your phone is in another room, getting charged. What follows is a laborious walk to the other room and getting your phone. Come to think of it, the SMS is the only thing that requires a phone to be in your hands. Everything else (mails, browsing history, documents, pictures, etc.) gets synced up to the cloud and is accessible on any connected device. But the SMS refuses to sync up, and proudly remains solely on the phone. If this is something that bothers you a lot, here's something for you. 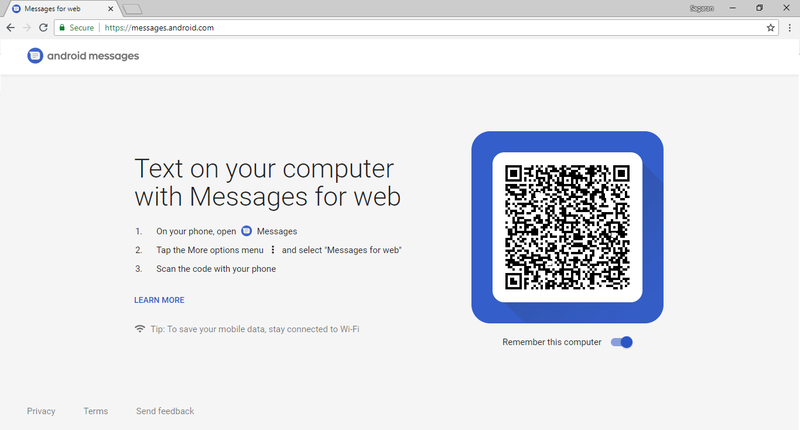 Google has introduced the "Messages for Web" feature. 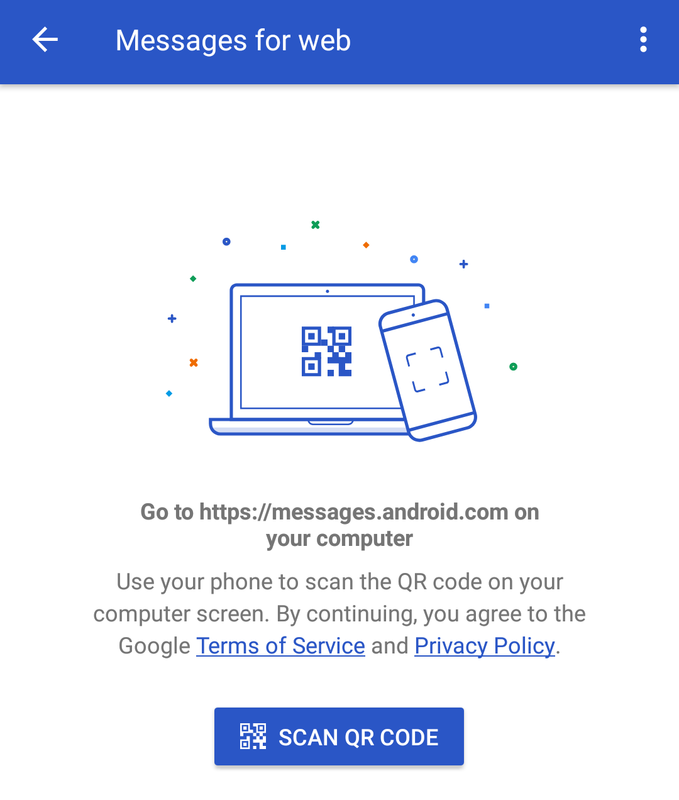 What this basically does is it allows you to access your SMS on any connected device through the web. Read on to get this enabled on your phone. 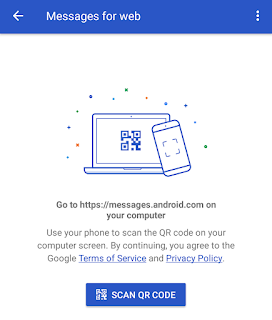 Go to this link on the computer where you want to access your SMS. Click on the "Remember this computer" button if you are going to be using the computer frequently. It is advisable not to use this on a public computer. You'll see a screen with a QR code on it. It would look something like this. Open the Messages app on your phone. This is the default android SMS app. If you have any third party SMS apps, this won't work. The app icon should look like this. To get the stock messages app, go here. Click on the 3 dots and then click on 'Messages for web'. Now you'll be seeing a screen that looks like this. Click on the "SCAN QR CODE" button and scan the QR code you saw on the first step. Once the QR code is scanned, you are all set and you'll see this screen. 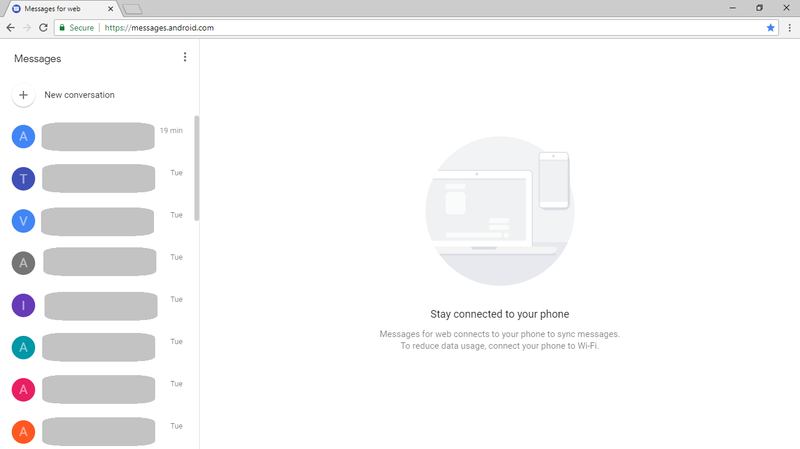 Now you can use your browser to browse your SMS as well as send SMS to your phone contacts. Happy SMSing from your browser!